Calcium is the second most important element in the chemical makeup of the ocean. It is the primary building block of coral and calcium base life forms in the ocean. Calcium works in conjunction with magnesium and alkalinity to balance the ionization of ocean water. 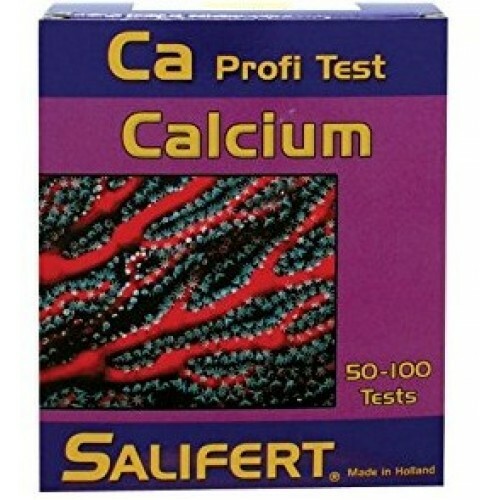 This is why it is imperaitive that an aquarist test for calcium in the saltwater reef tanks. Calcium also fulfills many important biological functions. In a healthy aquarium, the growth and multiplication of corals, calcareous algae and other organisms can result in calcium depletion. 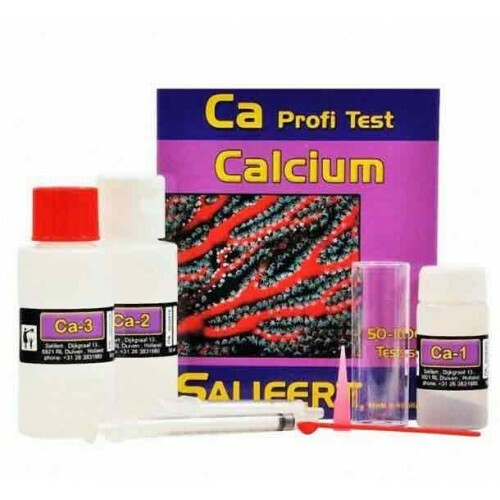 To maintain a stable environment it is important that the calcium content should not fluctuate by more than 15 mg/L from the optimum range of 420 - 450 mg/L so regular testing should be carried out. 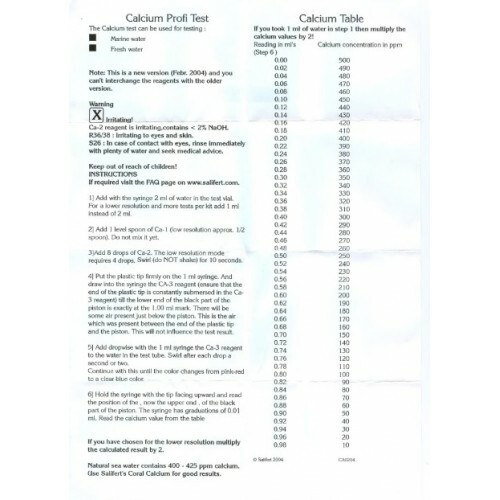 This means that any calcium test used should have an accuracy of significantly less than 15mg/L otherwise it will be difficult to monitor such fluctuations. The Salifert test kit measures in steps of 5 mg/L and has an accuracy of 10 mg/L. The color change is precise, detecting small but significant fluctuations in the concentration of calcium. The test is not affected by magnesium.